You can purchase our Tasty Gift Vouchers – the perfect gift for the hungry foodie in your life, or a reward for a colleague. 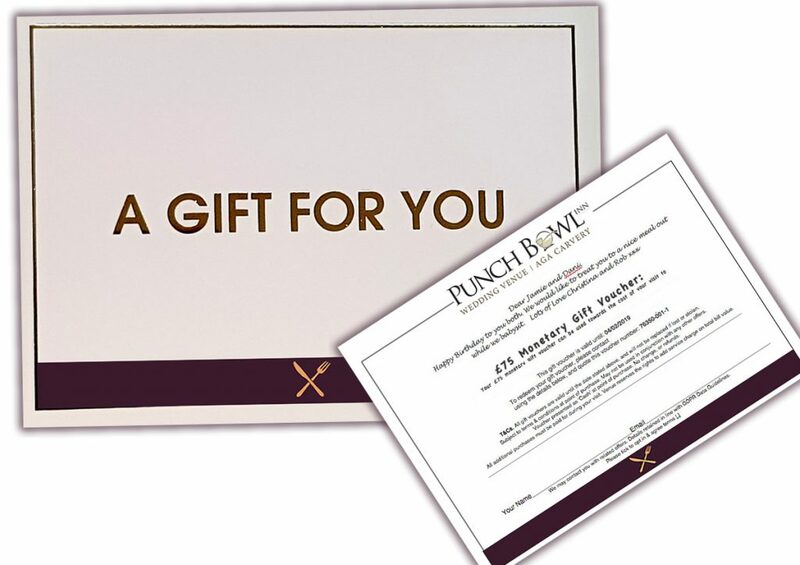 Redeemable off ANY food or accommodation related experience at The Punch Bowl Inn. Redeemable as ‘cash’. Purchase securely on-line and despatched on our branded ‘Gift For You’ cards with personal message options. Each valid for 9 months from purchase. See T&C’s at check out. Posted 1st Class Royal Mail! Image Shown = Mock up design based on actual. Sign up to WIN an AGA Sunday Carvery Every Month! Latest News, Events & Offers.